The picturesque town founded by the Greeks in the 3rd century. BC, full of cultural and historical monuments. Since 1997 it has been registered on the UNESCO list of world heritage. The old historic part around the cathedral was built around the 13th and 14th century. On a relatively small area is concentrated a large number of sights - St. Lovre cathedral, city hall or the court of justice, the tower clock, all in renaissance style. 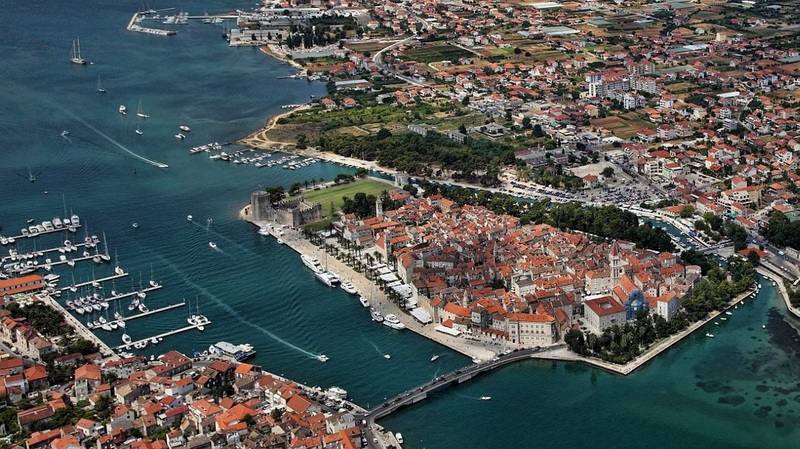 Behind the city hall is the oldest romanesque church in Trogir, Sv. Barbara. 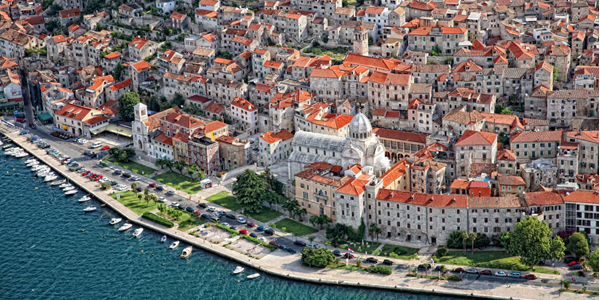 In addition, there are several artisticly valuable buildings, especially large and small palace Lučić, former rector's palace, palace Garagnin - Fanfognu (now a museum of Trogir), Monastery of St. Dominica, the Romanesque church of St. Ivana Baptist from the 13th century, the Benedictine monastery of St. Nicholas with religious art collection in which, among other things, an extremely valuable ancient relief depicting Kairos. The most important and largest Croatian archaeological site from Roman times, when Salona was the capital of Dalmatia, and later, in the early Christian period its center. 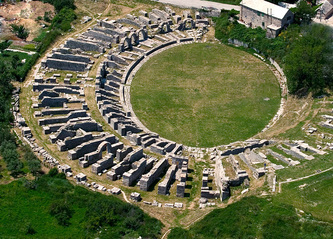 In Roman times from the 1st to the 5th century Salona (today Solin) gets the status of a colony thereby reaching its peak of development. 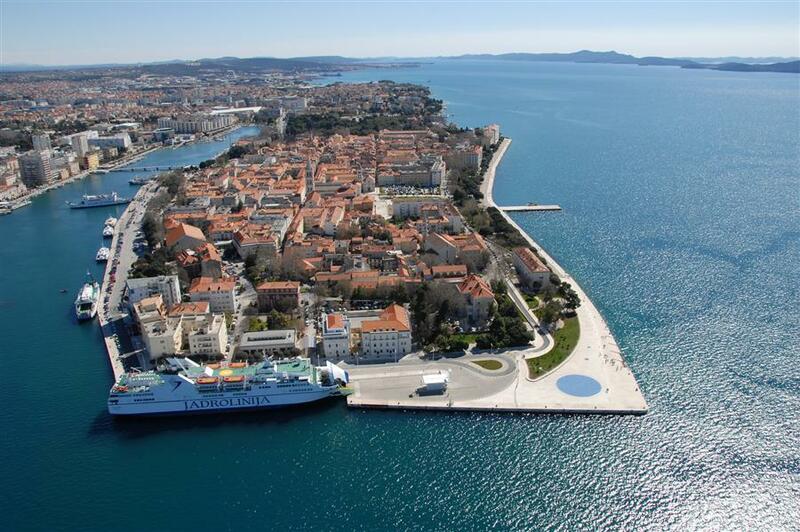 One of the most beautiful Mediterranean cities located southeast from city of Kaštela and along the hill Marjan, encloses the east side of the Bay. 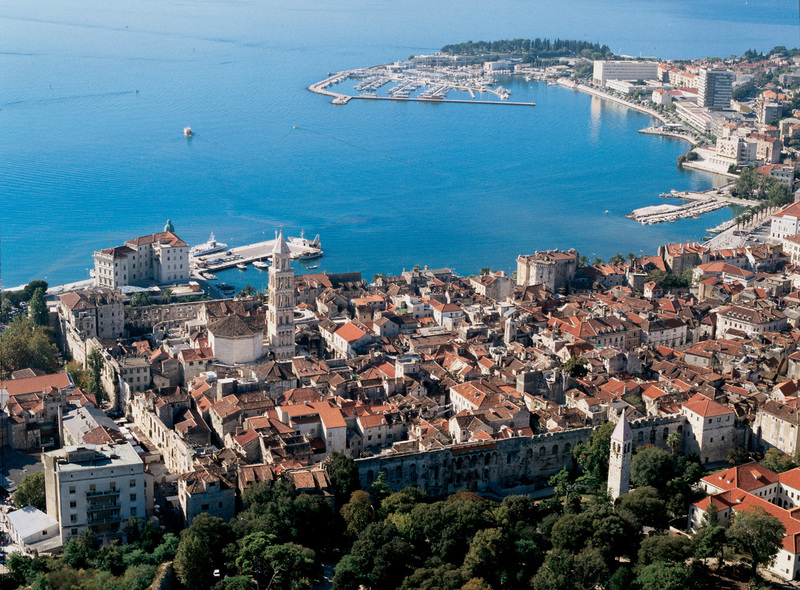 Split is the largest city on the Croatian coast, and thus a major economic, cultural and transport center of Dalmatia. 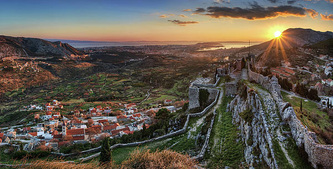 Split area was inhabited as early as the second and the third century BC. The city began to take shape at the end of the third century, the construction of Diocletian's Palace (in 1979 registered on the UNESCO World Heritage list). The settlement and the big castle with a beautiful view. This was an important strategic defensive position in the war against the Turks. Only in the 16th century, the Turks managed, after many unsuccessful attempts to conquer the castle.150 years later the castle was taken back by Venetians. Very interesting place for excursions with the possibility of visiting the nearby stalactite cave Vranjača. Krka National Park extends over the entire course of the river Krka, from Nečven City to the Bay of Sibenik. All the important parts of the park are accessible by boat or on foot. 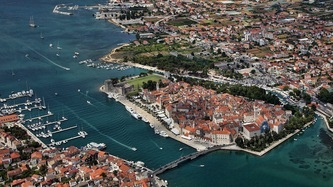 It is also possible to visit the island of Visovac on the lake of Visovac with a 15th century monastery. 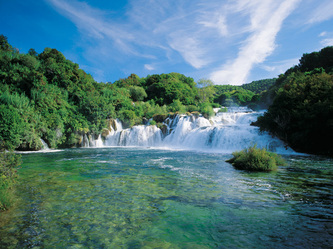 Furthermore you can reach Roški waterfall which is the largest and most beautiful in the whole park. You can follow the footsteps of Winnetou filmmakers, or swim right under the waterfall, visit the museum, or simply enjoy the beautiful nature. 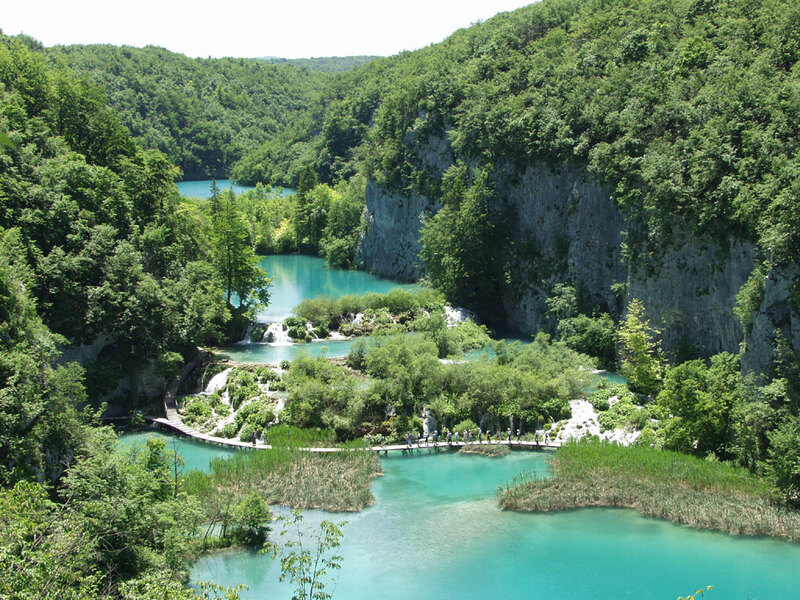 The park can be entered in one of three entrances Grape, Skradin or Roški waterfall. The beautiful islands of Brac, Hvar, Solta, Vis, Drvenik and others can easily be reached by ferry or catamaran on one of the regular lines from Split city harbor. On the islands you can admire and enjoy nature, find your bay or cove where you will be all alone, and you can visit the picturesque villages and bustling tourist towns like Bol, Supetar, Jelsa, Hvar and others. 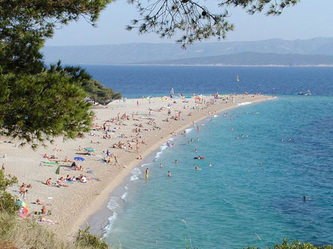 Here in Dalmatia you will certainly not get bored, because there are many beautiful places that you can visit within driving distance from Kaštela. 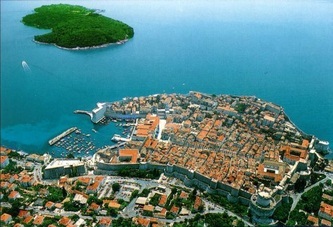 First of all, it's a beautiful cities on the coast like Sibenik, Omis, Dubrovnik, Zadar and others. 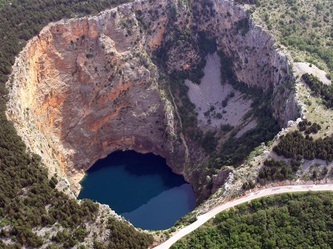 Beautiful scenery such as the canyon of the Cetina river, mountain Biokovo, the national park Paklenica, Vrana Lake, Blue and Red Lake near Imotski and others. Near the town of Omis and the river Cetina you can experience a bit of excitement trying fun sports such as canoeing, kayaking, rafting, rock climbing, zipline or paragliding.